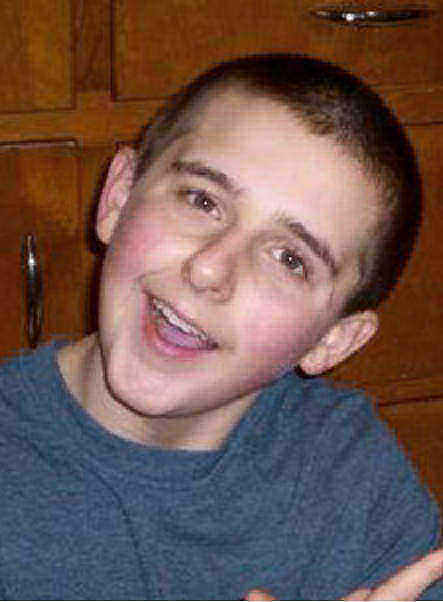 Teddy Foltz-Tedesco, 14, was beaten unconscious by his mother’s boyfriend, Zaryl G. Bush. Bush then threatened Teddy’s younger twin brothers, 8, into helping him cover up the scene of the crime. Teddy was not taken to the hospital until several hours after the incident and was pronounced dead five days later, after suffering from internal bleeding and brain contusions. The abuse started three year prior, when Bush started dating Widdersheim. The family became increasingly isolated, and Teddy’s father did not see him after his tenth birthday. Two years before Teddy’s death a grandmother tried to intervene in the family, but Widdersheim refused to believe her children. Friends and neighbors contacted social services, but after teachers at Teddy’s school started an inquiry with the Ohio children’s services agency, Widdersheim withdrew her children from public school to homeschool them. Zaryl Bush was sentenced to 33 years to life in prison after pleading guilty to murder charges, four counts of child endangering, and two counts of intimidation. Shain Widdersheim was sentenced to 15 years in prison on four counts of child endangerment and obstructing justice. On December 17, 2013, State Senator Capri Cafaro introduced Senate Bill 248, “Teddy’s Law”, which would require a school superintendent to check names of parents who propose to homeschool against child abuse and children’s services agencies’ lists.